Looking for a way to spice up regular old Peanut Butter? 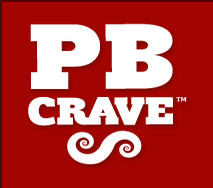 PB Crave is the perfect way to accomplish this. They make yummy peanut butter in a variety of other flavors to give your peanut butter a boost of yummy goodness. We received a 4 pack of their flavors. This includes Razzle Dazzle, a twisted blend of raspberry, wild honey, cool white chocolate and rich dreamy dark chocolate. It's like peanut butter and Jelly all in one and it's oh so good! Cookie Nookie, a mix of chocolate chips, cookie dough flavor, wild honey and premium peanut butter. It literally just tastes like cookie dough, so yummy! CoCo Bananas, Tropical blend of bananas, cocoa and wild honey. This one smells amazing and it's the kids favorite for sure. It's almost like a fluffer nutter minus the fluff, which could easily be added! Choco Choco, a double dose of semi sweet and rich dark chocolate with premium peanut butter and wild honey. All of the peanut butters are really yummy. We started with the razzle dazzle which is a great option because we can skip the jelly and still get that fruit flavor. The CoCo Bananas is definitely the kids favorite though. It's so yummy and even I enjoy it! The cookie nookie is absolutely, hands down my favorite. It tastes just like cookie dough and it is perfect on crackers. The CoCo bananas is also perfect for smoothies. It's already the chocolate, peanut butter and bananas that most people add to their smoothies, so mix it with some yogurt, ice and milk and it tastes incredible with very little effort. Price: A 3 pack is $17.97 on their website. Each one is 16oz and that would be $5.99 a jar. Not much more than regular plain peanut butter these days. The cookie nookie sounds yummy! I most want to try the Coco Bananas, my favorite flavors!! I want to try the go bananas. choco choco, but they all sound good. I would really like to try the Choco Choco. I want to try Cookie Nookie. I want to try the Razzle Dazzle! The Razzle Dazzle sounds good to me. Razzle Dazzle sounds great! Thanks for the chance to win! I would love to try Cookie nookie. I have to pick only one?!?! Hhhmmm I'd like to try the Nookie first! I want to try the razzle dazzle. I'd like to try Razzle Dazzle. coco bananas, the best of both worlds! I would like to try the choco choco flavor. I would like the Coco Banana. I would have to choose the Coco Bananas. I would like to try "Cookie Nookie". Um, DEFINITELY the cookie nookie. Sounds pretty life-changing. I'd like to try the Razzle Dazzle. I would love cookie nookie! Thanks so much for the fantastic giveaway! Cookie Nookie all the way! I think I'd like to try the cookie nookie the most but they all sound awesome! I think I would like to try the Choco Choco. razzle dazzle sounds so good! Razzle Dazzle is my choice. cookie nookie - oh YUM! I've been wanting to try the Cookie Nookie ever since I heard of it! I'd love to try Razzle Dazzle. I'd love to try Cookie Nookie! I want Cookie Nookie, but haven't found it in the stores. They all sound good, but if I had to pick one, I'd choose Cookie Nookie. I really want to try Razzle Dazzle. I want to try the Coco Bananas flavor. 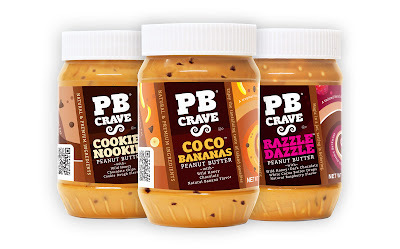 I love the PB and Banana combination, so this flavor sounds great. I would choose the Coco Banana since my favorite sandwich is peanut butter with sliced bananas on it. I would love to try Choco Choco. I'm just a chocolate freak. I would like the banana. Cookie Nookie OMG!!! Sounds like heaven! I want to try the Choco Choco. 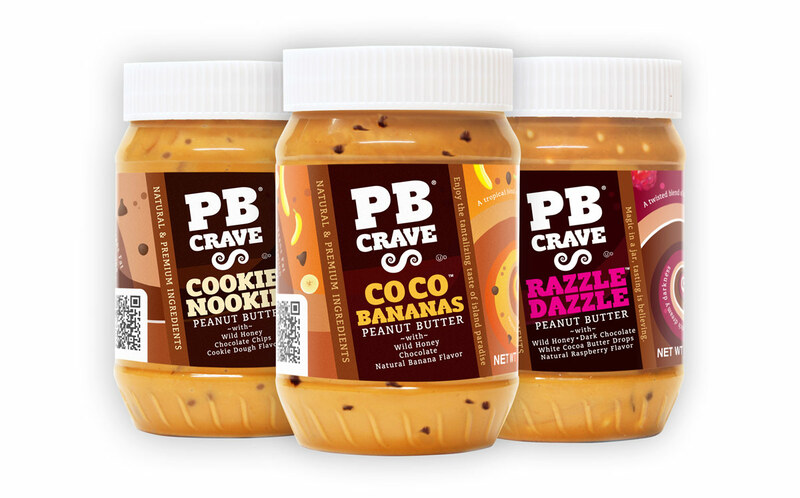 The flavor of PB Crave that I want to try most is the CoCo Bananas. The combination of bananas, cocoa and wild honey with peanut butter sounds wonderful. Yum I want to try the Cookie Nookie. CoCo Bananas sounds really good! I would like to try Razzle Dazzle the most. I would love to try their razzle dazzle. Cookie Nookie would be my PB Crave of choice! The one I want to try first would be the CoCo Banana!! Choco choco or co co bananas. They both sound amazing. Thanks for the giveaway… Razzle Dazzle ! Razzle Dazzle for us! We would love to try them all though!